Our drilling swivel is built on API 8A, with the certificate of authority to use the official API monogram. It is in accordance with the industry standard SY/T5527. Double pin alloy sub is optional. The rotary hose joint (4 API LP) is equipped. The washpipe and packing are of box structure for convenient replacement. 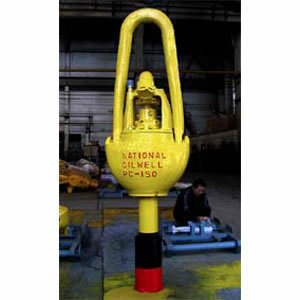 Rugao Yaou Company is a primary drilling swivel manufacturer in China. We are engaged in manufacturing and supplying oil drilling tools, solid control equipment, and other petroleum equipment. To date, we have received the certificate of the American Petroleum Institute (API). Our company is located in Rugao, Jiangsu, where we are near the Yangtze River and the Yellow Sea. So we can deliver our oil drilling equipment quickly and cheaply. Please contact us for more information. We look forward to doing business with you!